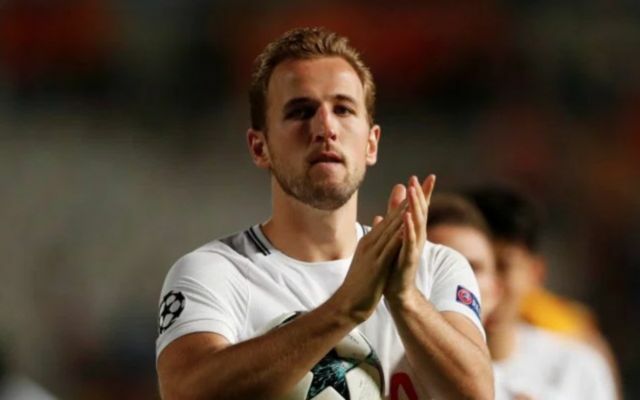 Tottenham striker Harry Kane is some way off the highest earners in the Premier League on just £110,000 per week, according to the Daily Mail. The England international has just capped a sensational 2017 with two hat-tricks in his final two matches, ensuring he finished ahead of the likes of Lionel Messi and Cristiano Ronaldo as the top scorer in Europe this calendar year. Undoubtedly one of the finest finishers in the world right now, Kane looks like he can go right to the top level of the game, and he could certainly earn more money than he is right now. On £115,000 a week, Javier Hernandez is certainly a big name, but he hasn’t lived up to the hype so far at West Ham, scoring just four goals in 17 games. With just one goal this season, Christian Benteke isn’t half the striker Harry Kane is, but he’s earning more than him with £120,000 a week wages at Crystal Palace. Another on £120k, Phil Jones has been decent for Manchester United but not much more than that, and is certainly not a world class performer like Kane. A goalkeeper past his best, Joe Hart is now with relegation strugglers West Ham but still picks up £120,000 a week for his efforts. Also in the £120k bracket, Marouane Fellaini is nearing the end of his Manchester United contract and surely won’t be earning that much again any time soon. Despite flopping in his time at Old Trafford and barely playing for United these days, Luke Shaw takes home £130,000 every week. Henrikh Mkhitaryan is another out of favour with Jose Mourinho at the moment, and makes even more – £140,000 per week. With 24 goals in 24 games this season, Kane has more goals than Liverpool’s Daniel Sturridge has in the last three, but it’s the Reds ace who makes more – £150,000 a week. A bit of a disappointment since his summer move from Lyon, Arsenal striker Alexandre Lacazette certainly looks nowhere near Kane’s level, but makes comfortably more with wages of £170,000 per week. Finally, a Manchester City bench-warmer who’s looked past his peak for maybe three years now, Yaya Toure is one of the league’s highest earners and probably least deserving with wages of £220,000 a week.